B/W photograph, 4 1/4" x 2 1/2", of view looking east "from front porch" of Belair home. Gift of Claude Belair Jr. (1932- ). 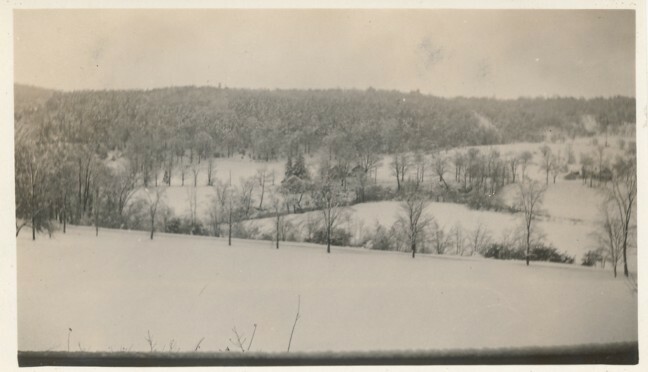 Unknown, “Photograph of Conway View, 1933,” Conway Historical Society, accessed April 21, 2019, http://conwaymasshistory.org/items/show/544.